I'm really having so much fun doing this challenge. I love having a theme to inspire me each day, it makes it so much easier to come up with ideas compared to trying to think of something from scratch. 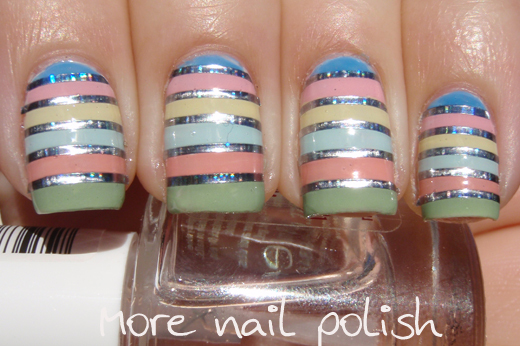 Today's prompt is Stripes, and I created a super pretty pastel spring striped mani. 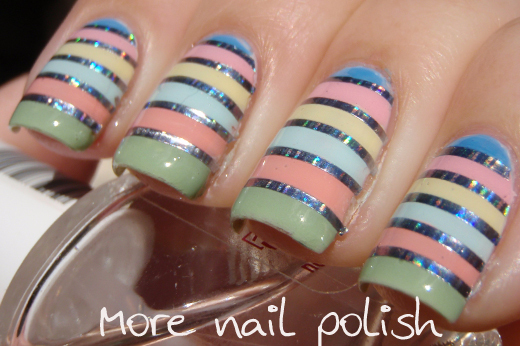 I then used some silver holographic striping tape that I got a the Born Pretty Store. All finished with a layer of Essence Gel look top coat and then Seche Vite. 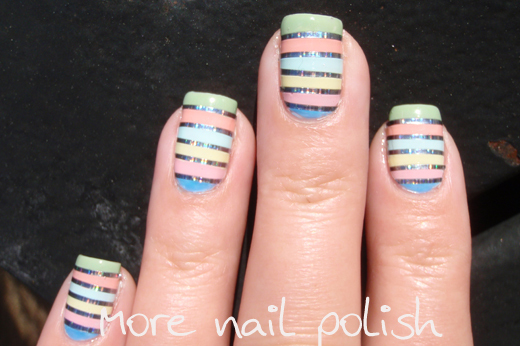 An easy design to create, but the striping tape is fiddly and slow to apply. This was probably one of my longest manis to create so far, at about an hour. This is so pretty, I love the colours you chose! I love all the pastel colors together! Oh, I love! Love Heart colours! 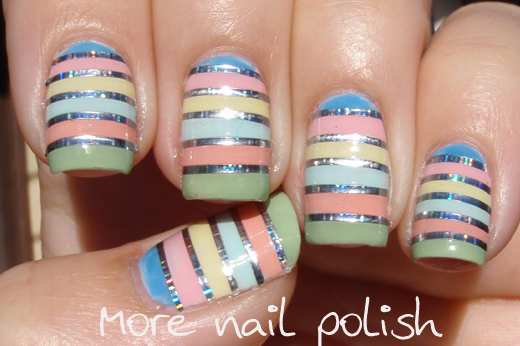 Love this with the striping tape! Wow, this is so pretty and eye-catching! Nice! Seriously nice take on stripes! These colors look so good together. Nicely done! 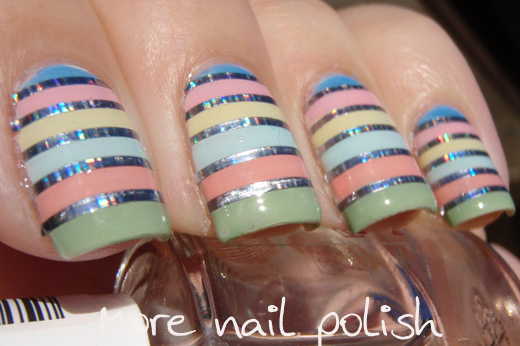 This is gorgeous how did you get your striping tape to fit so perfectly? I always have pieces dangling over and unable to cut it with scissors. My tape originally was hanging over both edges of my nail. I just used my sharp little montblue nail scissors to snip each piece right at the edge of the nail. But it was the slowest part of doing the whole mani!